Lorain's most affordable banquet and reception hall in Lorain County. Rosewood Place strives to make sure all of our guests receive the best experience on a affordable budget. We will work with you to make sure your event is perfect no matter what the occasion! "We just had my daughters sweet 16 this past weekend. It was perfect!! The owner & his daughter answered all my questions. I will be renting the hall again in the future for whatever I need. We didn't cater through them, however the pricing was very reasonable to cater if we did!" "Service was impeccable, food was delicious, and Bo made the booking process simple and easy"
"Rosewood Place has hosted "Steel Survivors" Christmas party the last 2 years. They are extremely nice and accommodating. Each year they have went above and beyond what was expected of them. We appreciate everything they have done, and look forward to next year!" "We held our 55 year class reunion there. Everything was perfect!" "The best place in Lorain County to have a wedding or any other party! Very accommodating and responsive to your needs. The owner and staff made sure that every detail was taken care of and all we had to do was had fun. The food is delicious, you cant go wrong with any of the choices, and the mac & cheese was the bomb!!! If you don't look here first, you are paying too much and not getting all that you should be!" "I cant say enough great things about this venue! I held my wedding here in August at Rosewood, and the entire planning process was a breeze. The food is reasonably priced and amazingly delicious, the staff & owner Bo went above & beyond to make sure my reception went smoothly and the price was very affordable. I would recommend this place over and over! Keep up the great work Rosewood!!! "Thank you for your friendly workers and your halls. We have DJ'd there many times and always look forward to new events at your place. 1st class all the way. I will definitely recommend Rosewood Place as the BEST venue in Lorain!" "My niece's wedding reception was held at Rosewood. Very nice, staff was awesome. Had a great time." "I had my wedding at Rosebud. They set up the hall to how we wanted. They did a great job with everything. The food was very delicious and all the staff was so very nice and polite. This is a great place." "We held our daughter's sweet 16 party at Rosebud hall. They were accommodating from the beginning of planning process. They're flexible, knowledgeable, and professional. The food was excellent reasonably priced. The staff on hand for the party were amazing, and helped with anything we needed, served the food promptly, and had everything packed up when we were ready to go. We will definitely use them again in the future." "I had a great time, everything was great!!" "It was a great and beautiful place. Very much enjoyed it, it was very spacious"
"Beautiful Place considering it for next Daughters Quincy !!!" "The staff at Rosewood Place is very professional and great to work with! I highly recommend this venue when it comes to having a great event experience, affordability and great food!" "I can't say enough good things about Rosebud Party Hall. The owner was so accommodating and helpful throughout the entire process, the food was delicious, the staff was phenomenal, and the space was beautiful. I highly recommend Rosebud for any event!!" "The owner & staff were amazing they did an amazing job from the way the venue looked to the service to the hospitality! Simply AMAZING place to have an event!!! 100% recommend"
"It shows that the owner and staff are on the same page. You always feel at home and know your gonna have a nice time, great job team Rosewood keep it up!!" "Thank you so much for making the Scholle benefit dinner a success... you and your staff were absolutely amazing"
"Had a wonderful time while there. Very accommodating. 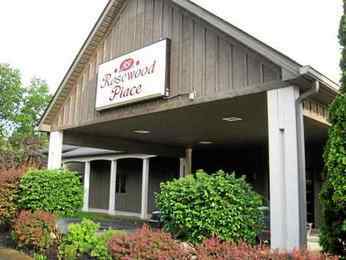 Pleasant staff"
"I held my daughters graduation party at Rosewood and it was perfect. The food was awesome as well as the staff. I highly recommend holding any event there." "Rosewood Place and the smaller Rosebud hall are beautiful facilities in Lorain. Big events, like wedding receptions are held there, as well as retirement parties, group luncheons, dances, and many other events. The decor is very pretty, and table dressings can be customized to the event. There are many choices of food to be served, and everything is delicious. Wonderful Lorain resource!" "The food was excellent! The staff were friendly and polite. The hall was clean. I would go back for any event!" "Great place to have any venue"
"Can't say enough good things! Great service, beautiful hall, reasonable price, wonderful food!" "We just held our daughter's wedding and reception at Rosebud Place. Bo and his crew helped us every step of the way and provided a fantastic experience. The staff was friendly, the food was great, and they were super accommodating. I wish I had more parties to give...I'd do them all here!" "Great establishment and friendly staff. Definitely a nice place to have parties and private events." "Thank you for allowing us to have our Alzheimer's Longest Day Quartermania. I will recommended Rosewood to everybody." "The mothers day buffet was beautiful and food is always good. Good Job!!" "Wonderful place, staff were attentive & made for a great evening." "I had my wedding here and it was amazing. Beautiful Hall." "People are always friendly. Food excellent."